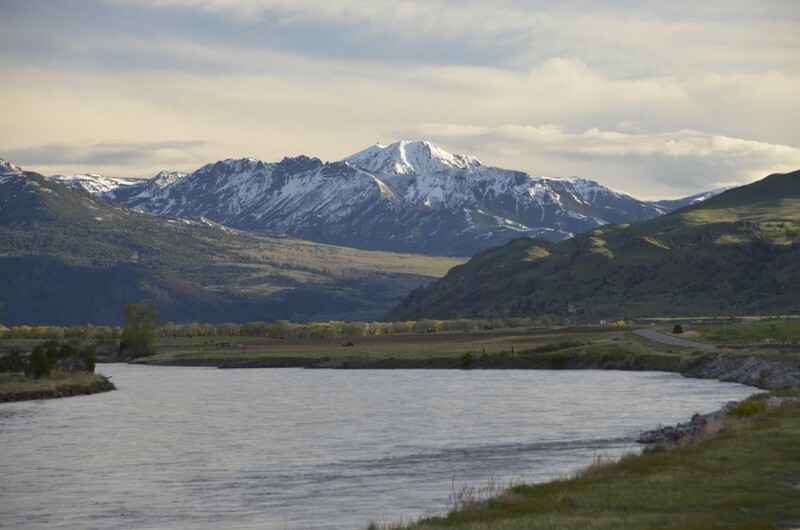 The Yellowstone River is a local Spring fly fishing favorite in Montana. On warmer years the ice dams of Winter will clear by mid-March and anglers can find great fishing on nicer days through mid-April. It’s not uncommon to be met with hatches of midges, BWOs, March Browns, and even Skwala stoneflies on calmer days from Mid-March through Mid-April. And you can bet our Yellowstone River fly fishing guides will be there. The river runs cold, clear, and low this time of year and the trout are hungry after a long winter. By mid-April flows will start increasing as early snowmelt starts reaching the river. Often the river will become slightly off color and enter the pre-runoff phase. With this water and inevitable rain, food pours into the river for the trout and the bite really turns on. Late spring on the Yellowstone River, before runoff, can be some of the best streamer fishing of the year anywhere in Montana and a great time to target the bigger brown trout that lurk around every bend. By the time May rolls around we’re all asking the same question every year: when will runoff start? The Yellowstone River flows annually surge starting in May from flows in the hundreds up to 35000+ CFS. This runoff period makes the river unfishable but varies slightly every year. We generally say it’s from May 15 until July 4 but commonly starts earlier and lasts longer. It also commonly starts later and ends sooner. A lot depends on the snowpack. On years it is normal, or starts later, anglers who stick around Bozeman, MT and Livingston, MT are treated to a great Mother’s Day Caddis hatch. Usually around May 15, this hatch is the first dry fly spectacle of the year on the Yellowstone River. Blankets of bugs and hundreds of rising fish: good old-fashioned fun. It can be epic, but it happens quickly and ends as soon as flows start to surge. But if you can hit it right it is a sight to see and makes for great Yellowstone River fly fishing trips.